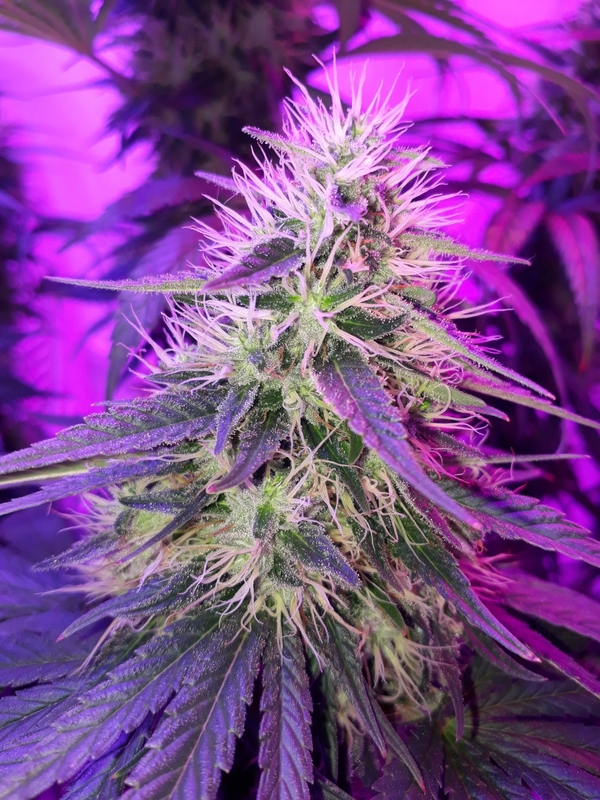 Nowadays Royal Gorilla is one of the most popular strains in US. But its birth was absolutle occasional. Chem Sis plants was accidentally pollinated by Sour Dubb. 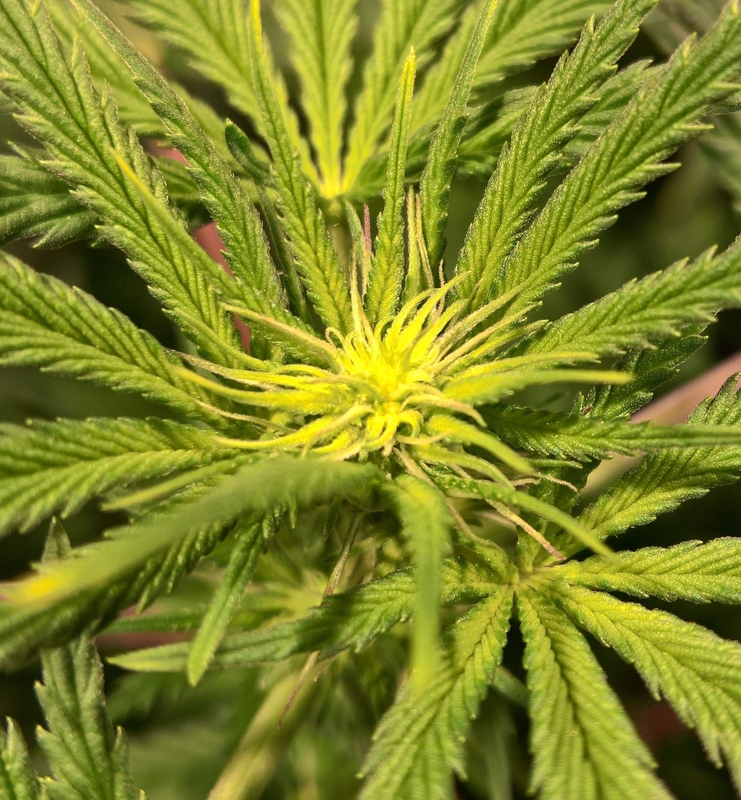 The result is well balanced indica/sativa hybrid with high THC content of 27% that provides strong effects. 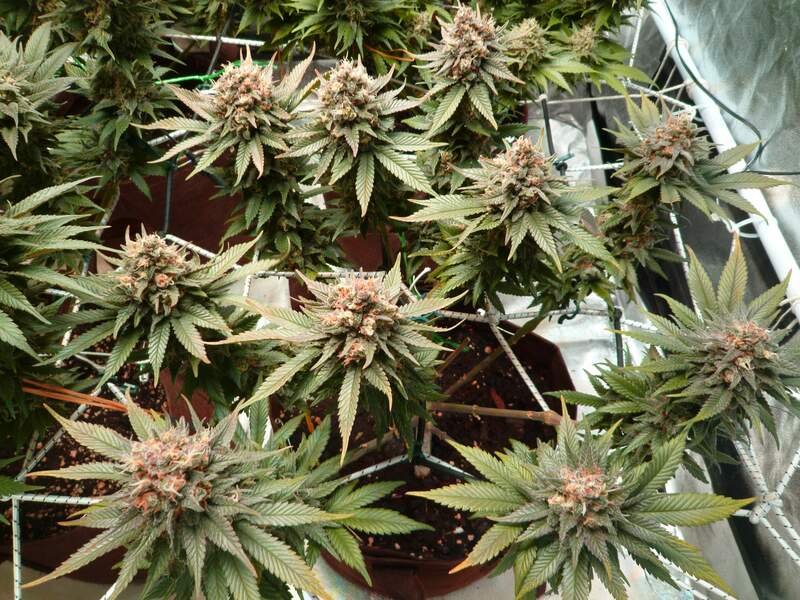 The plant produces mass of resins and quality buds. It has a medium sized structure with amazing light green leaves and reaches to 90-160 cm tall. 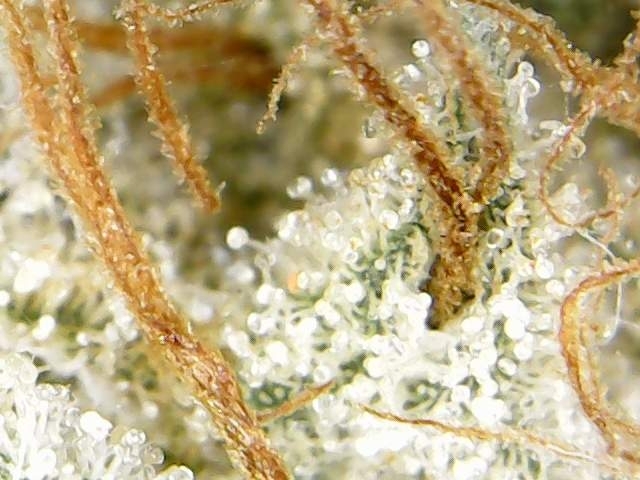 White sparkling trichomes cover the plant. The smoke brings a heavy stone-body and happy high combined with an uplifting euphoria. It is excellent remedy for stress. The flavors has notes of lemon, earth, pine and sweetness. 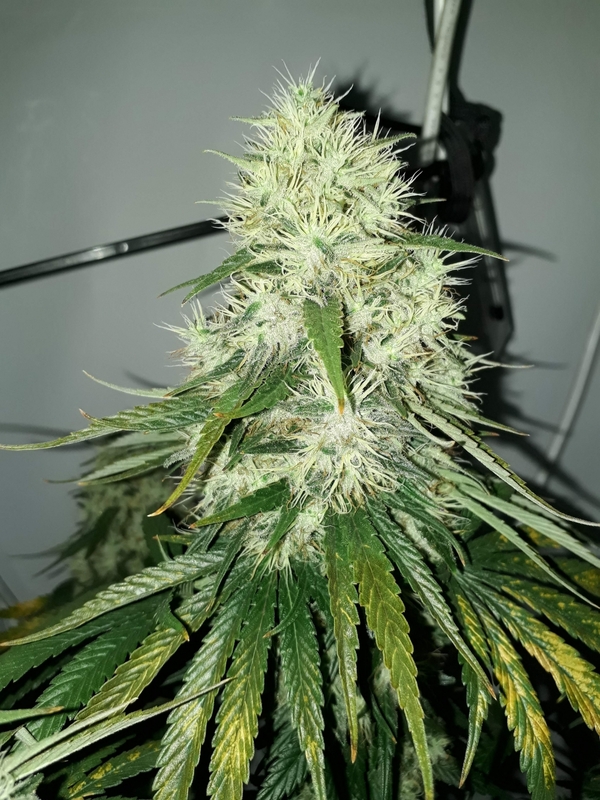 So this is a 50 50 hybrid - I would say lends its self more to an evening smoke, This was an amazing plant to grow - it really responded well to some extreme training techniques, and a single plant filled my 1m2 tent with ease. The colas were uniform and chunky, and the resin production was insane. RQS states this isn't a big yeilder - but I pulled a very nice weight from a single plant. First one that was ready to harvest. Very sweet candy smell, and potent strain! Hey, but original gorilla glue nr. 4 is only clone release ... but this seems to be nice too.